It’s always good to be polite in any cirmustances, especialy when dealing with different culture. That’s why I would like to share with you my favorite ways of saying thank you in Mandarin Chinese as a one way that you can use to be polite. As I was talking to some natives in China, I have actually discovered that the word “Thank You” in Chinese is only used when you just got to know someone and you want to express gratitude for something or to say it to a person that is either older than you or that is at higher social hierarchy levels than you. Usually amongst friends or family members is not used that often, because as I have understood it, it creates a formal barrier and Chinese people think its weird to say Thanks for every little thing. It’s like they they love to do something for you or give you something not because you always say Thank you very much…they just give it to you because you are their friend. When you say Thanks so many times, they might think you are just saying it to keep geting favors from them… very interesting mentality, since I have learned to say these expressions of grattitude for almost everything from my childhood. 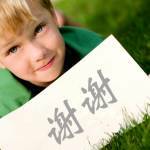 This is probably one of the most common ways to say thank you in Mandarin language. Usually you can use it when someone gives you something or does some service to you. It’s also one of the most taught words in many chinese learning books. And its also the easiest to remember. Also, please remember that if you are using this word, you can add 你 for you (informal) or 您 you (formal) – depending to whom you saying this. But do not just rely on this expression of grattitude! Let’s see what else you can use. I would translate this as one way of saying “Thanks a lot” and it’s possible to use it instead of the 谢谢 expression. You can use it for expressing more happiness to the person or to use it when talking to a older person and you are showing some respect. You have to be more careful with this expression. I have learned that you can use it as a cute way of saying “Thanks” to your friend, but it turns out that it means something like — kiss, kiss… like a sound of the kiss. So I am not sure if the other person will like it or if they will think that its rude or not appropriate to say it. For now, just know when you hear it, that the person saying this to you is either close friend or partner. But do not use it to when you want to express Thanks to your boss! When you would like to express a deeper emotions that just “Thank You” — you will definitelly impress the native speaker with this one. It means Thank you very much, but it has a bit more deeper meaning. Like use it only occassionaly when you truly feel very grateful. 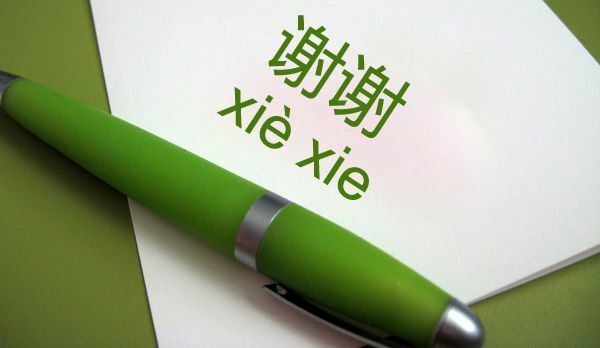 So that were my 5 favorite ways of saying thank you in Chinese that I think every Mandarin learner should remember and know excactly when to use them properly. If you want to master more of these expressions or learn more Mandarin words altogether, you should check out the ChinesePod website as I think its one of the best online Mandarin learning resource that will improve and speed up your Chinese learning.